Did you ever want to hike the Appalachian Trail? Come and listen to Bruce Matson and Steve Adams as Bruce prepares for his journey in 2018. They'll be continuing their conversation while Bruce is on the trail, all the way back to Katahdin. Thanks so much to our title sponsor, Trailtopia. Great friends and great food is a winning combination. We always planned to have this final episode, so it was great to catch up with Bruce in such good spirits after his epic journey. He'd been home for a month and was starting to absorb what he'd done, yet his stresses from "normal" life were piling up once more. As all things must do, the end was in sight as Bruce set off into the 100 Mile Wilderness last week. 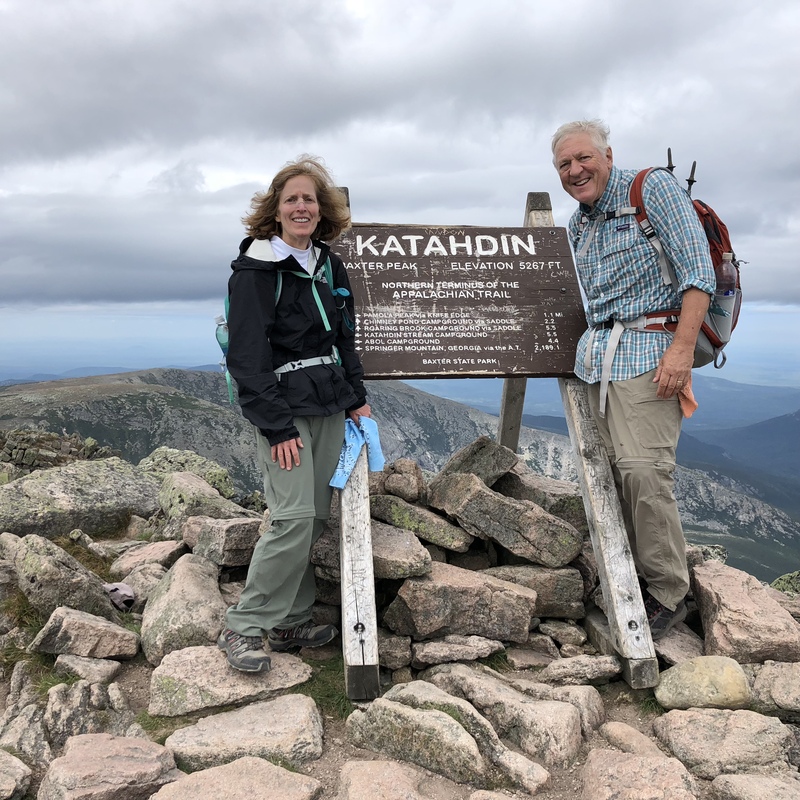 I didn't hear from him again until Saturday evening when he had summited Katahdin and fulfilled his 44-year dream to thru-hike the Appalachian Trail. 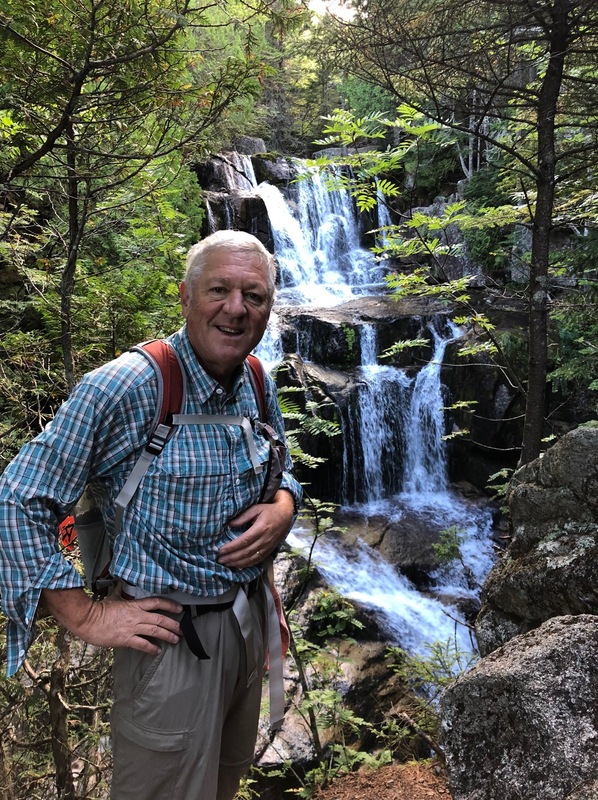 Bruce is now within a week of Katahdin, at Monson, preparing for the 100 Mile Wilderness. By the time you hear this show, he'll be in the wilderness and out of touch, reflecting on the beauty he has seen. Bruce is in the last state–Maine. He has already gone through the Mahoosuc Notch, a kind of rocky jigsaw puzzle, where you work out the best route as you move through it. 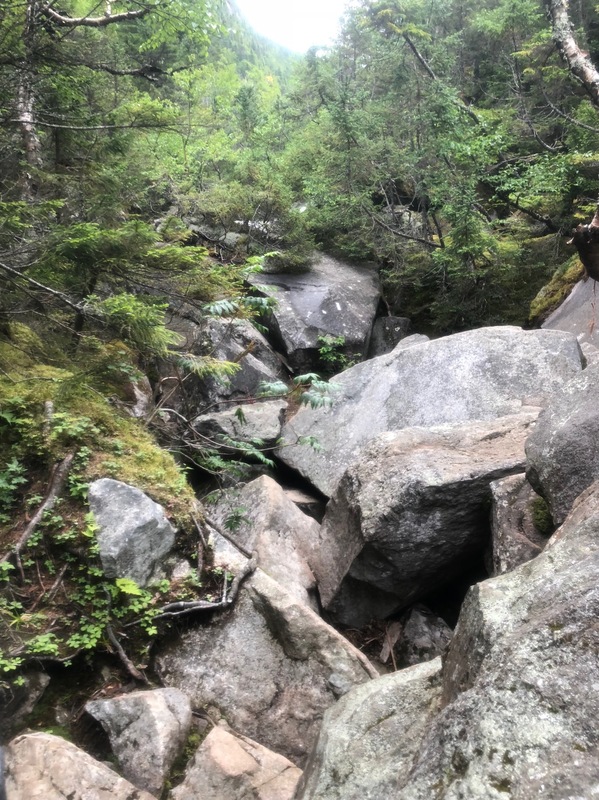 The pictures in these notes are taken by Bruce and feature his two hiking compadres, Gbolt and Recon.